Here is the devlog of my project for this jam ! 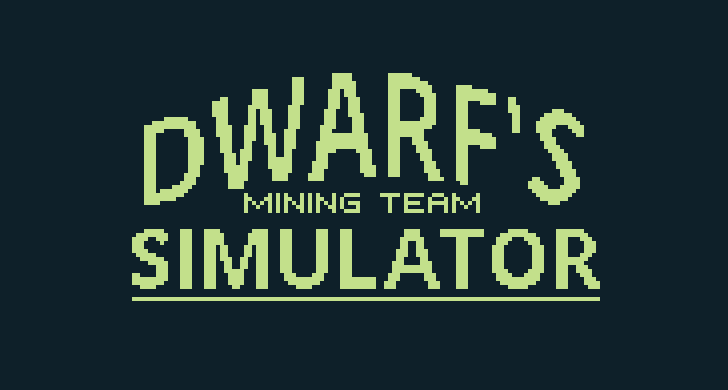 A small clicker game where you are a Dwarf mine manager. Then I looked for a good palette, I wanted something gameboy-ish but modern at the same time. Day two, I've set up in Unity everything I needed to recreate the mockup. I decided to use Unity because that's the engine I'm learning and thus the one I'm the most confident with. Day 6: Added a the feature. 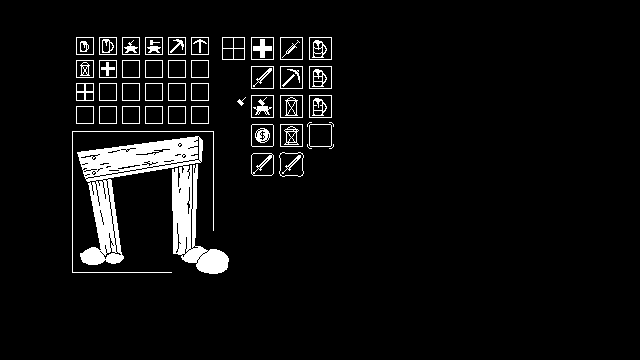 The player must maintain a balance between objects to get bonus (or avoid malus). 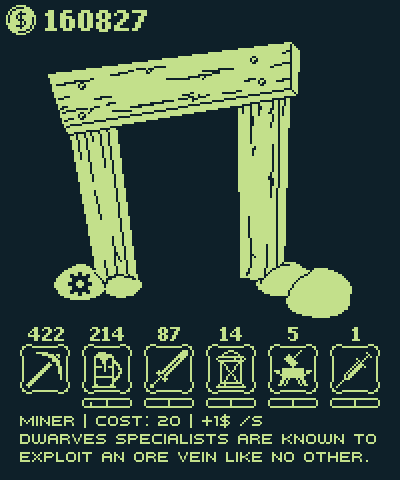 Example: Miners must have enough beer, with a ratio of 2 beer to 1 dwarf. If they don't have enough, you get a malus from -1% to -5% of production. If they have more than needed, you get a bonus from +1% to +5% of production. Each items is subject to a ratio, with more complexity. 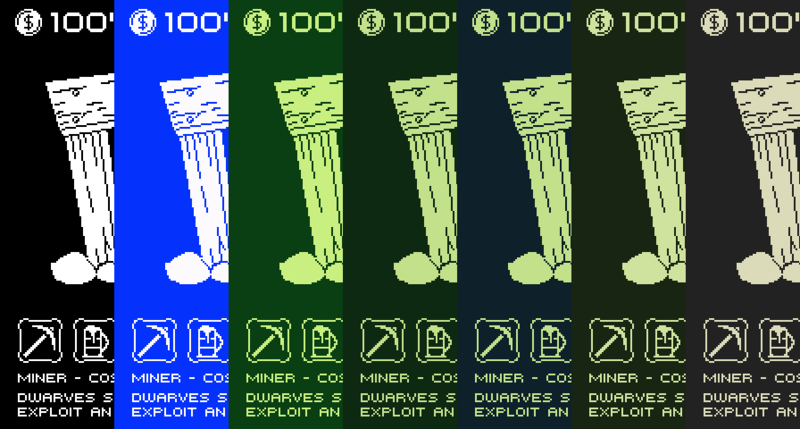 Miners, Guards and Blacksmith needs beer, light and heal. 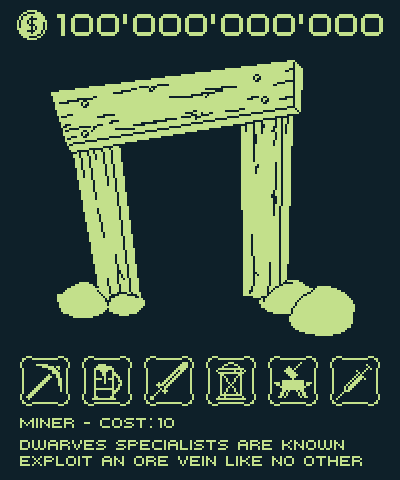 Miners needs Guards, and Miners and Guards needs Blacksmith. nice looking graphics. I like the settings inside the rock. I have make the final change at the game, and it's now online ! still needs to be a little more balanced, but I hope you'll enjoy it ! That's strange, I have not this problem with Firefox 52.0.2 (32bits) on Windows. Are you sure your firefox is up to date ? Same version but 64 bit and on Ubuntu. ...Although, I think I was on a different computer at the time, so that may not be valid after all. Good idea and nice graphics!!!! Play it and like it!